Brian Rast is an American professional poker player from Poway, California, currently residing in Las Vegas, Nevada. He began playing poker in 2003 and is mostly known for winning two World Series of Poker bracelets in 2011. He was one of the 48 players to enter the biggest poker event in history, the $1,000,000 buy-in The Big One for One Drop during the 2012 WSOP. He final tabled that event and eventually finished in 6th place collecting more than $1.6 million in winnings. Rast was born in 1981 in Denver, Colorado. He then moved to Poway, California where he graduated the Poway High School in 2000. After finishing High School Rast entered Stanford University, but dropped out rather soon in order to seek career as a professional poker player. In 2011 Rast won two WSOP bracelets taking down the $1,500 Pot-Limit Hold'em event an the $50,000 Poker Player's Championship. Rast's passion for poker came in 2003 after he saw the best-known poker-themed movie “Rounders” starring Matt Damon and Edward Norton. Rast practiced his game for two years before entering his first major live event, the 2005 World Series of Poker. He cashed in one WSOP event that year taking home just over $3,000 for placing 79th in the $1,000 No-Limit Hold'em event. It wasn't however, until 2008 that Rast scored his second WSOP cash. 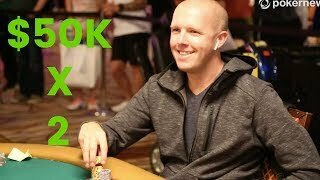 This time he did much better reaching the final table in the $5,000 Pot-Limit Omaha event and cashing for more than $80,000. Rast then scored one more money finish in 2009 while two more cashes came in 2010. However, the 2011 World Series was the one that saw the best of Brian Rast. He scored three money finishes that year wining two bracelets and taking home almost $2 million in prize money. 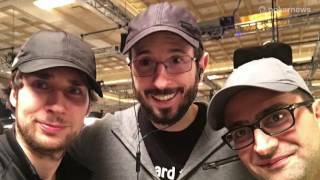 Rast scored five more WSOP cashes in 2012 including two final tables one of which was at the $1 million buy-in The Big One for One Drop. Rast has three WPT money finishes on his record. He made his first World Poker Tour cash in 2008 at the Sixth Annual Five Star World Poker Classic in Los Angeles after placing 54th in the $25,000 Championship Event. He collected almost $40,000 in prize money for his performance. 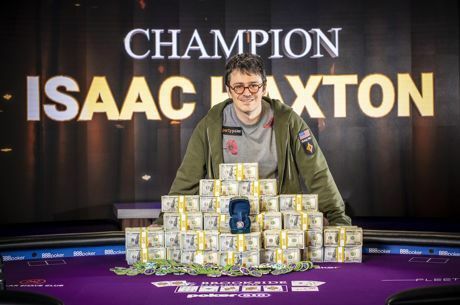 His second cash came a year later when Rast final tabled the $25,000 Championship Event at the Seventh Annual Five Star World Poker Classic taking home more than $200,000 for his seventh place finish. Then in 2010 Rast placed 9th at the Bay 101 Shooting Stars $9,600 Championship Event for a $38,000 payday. In 2006 Rast final tabled the Festa Al Lago V $2,000 No-Limit Hold'em event. He finished the tournament in fourth place collecting $14,770. Then in April, 2007 he placed third in the $ 5,000 No-Limit Hold'em event at the Fifth Annual Five Star World Poker Classic in Las Vegas for $ 101,230. In 2010 Rast made another final table, this time scoring fifth place finish at the L.A. Poker Classic's $2,100 No-Limit Hold'em / Ironman event for $7,590. Rast is one of the contributors for the poker training site Poker VT. He can be found playing poker online under the nickname “tsarrast”.